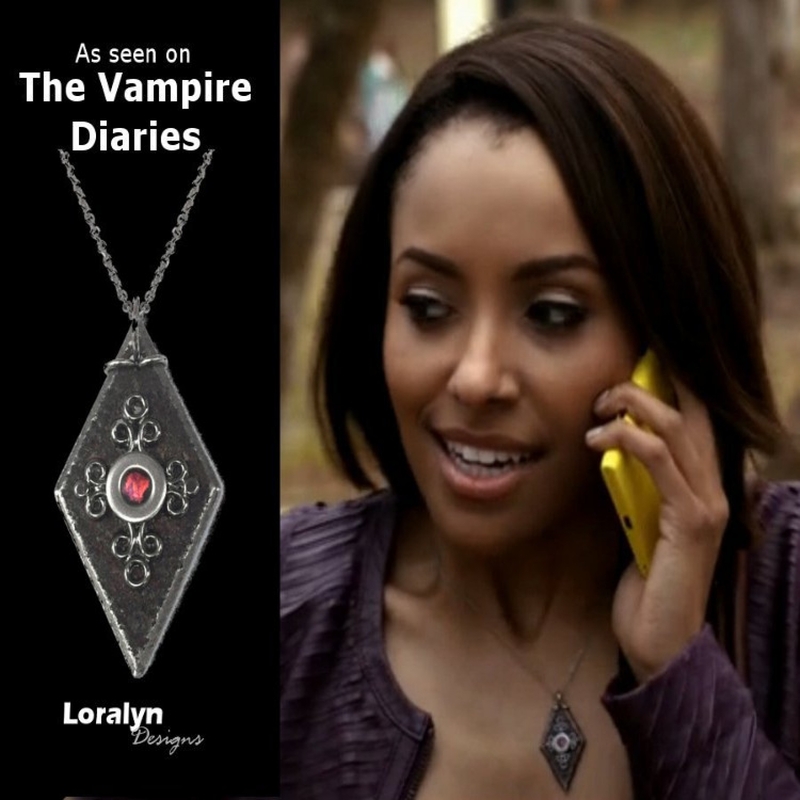 Designed for the wardrobe stylist for The Vampire Diaries who chose to use it on Bonnie Bennett (played by Kat Graham) on The Vampire Diaries Season 5, Episode 18 which aired April 17, 2014!! 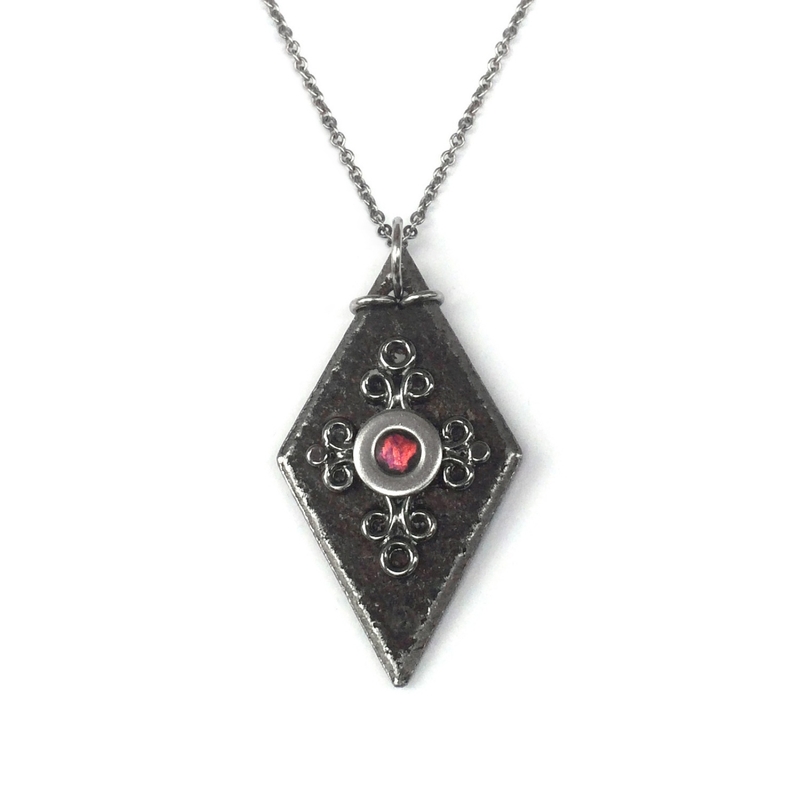 Inspired by the middle ages, this necklace is a standout piece that can easily be incorporate into any casual or work wardrobe. 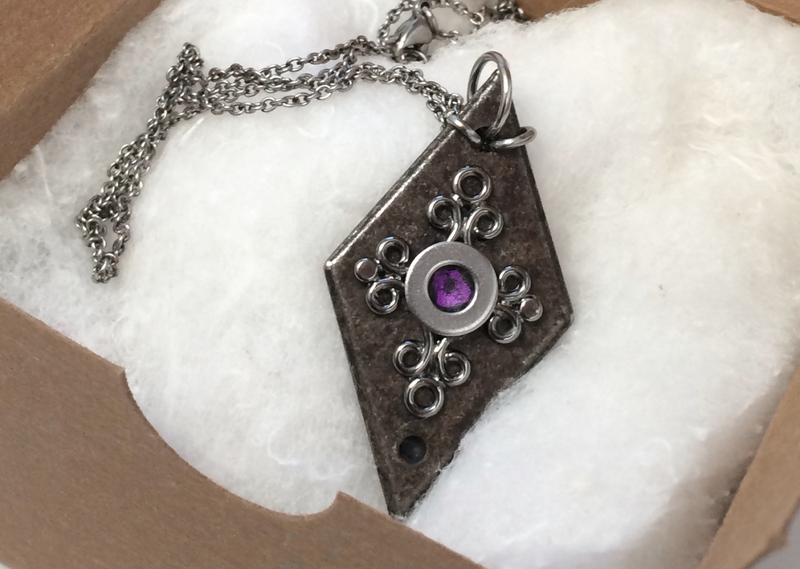 The unique forged black iron diamond-shaped pendant measures 1" wide by 2" tall. It is adorned with a steel scroll filigree design which frames an eyecatching crimson red and black center. 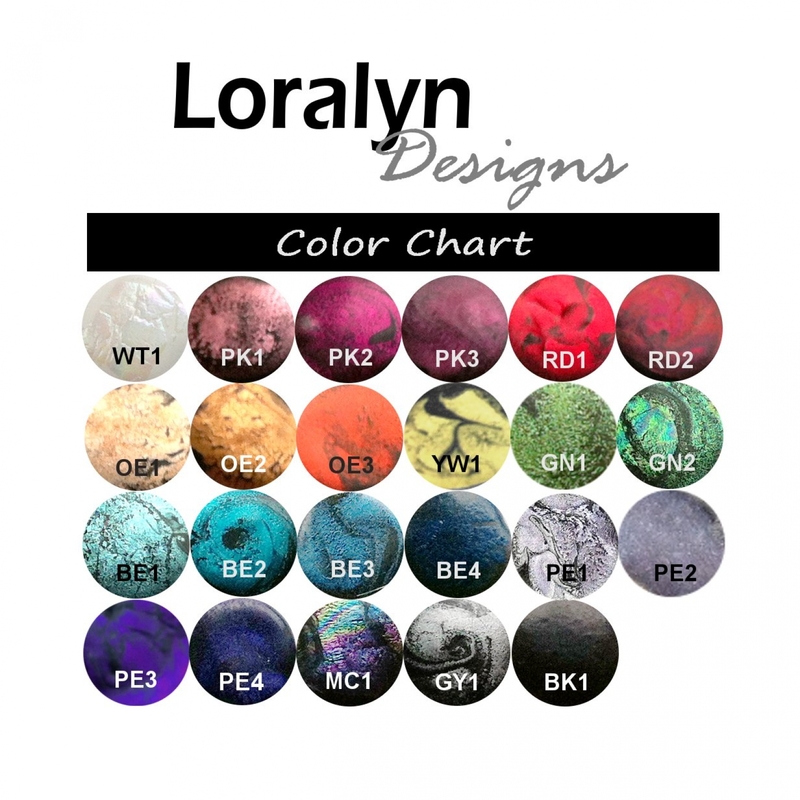 The color is not a stone, it is a metallic modeling resin which is hand molded into every piece. Check out our color chart (5th picture of this listing). To order with a different center color, simply choose your preference using the drop down arrow above. Material choices: Stainless steel (1.6mm cable chain) or Black leather cord with stainless steel clasps. To order what was on the show, choose color RD1 with an 18" stainless steel necklace chain. The actual necklace he wore was exclusively designed and handcrafted by myself. This is not an imitation and is protected by copyright. 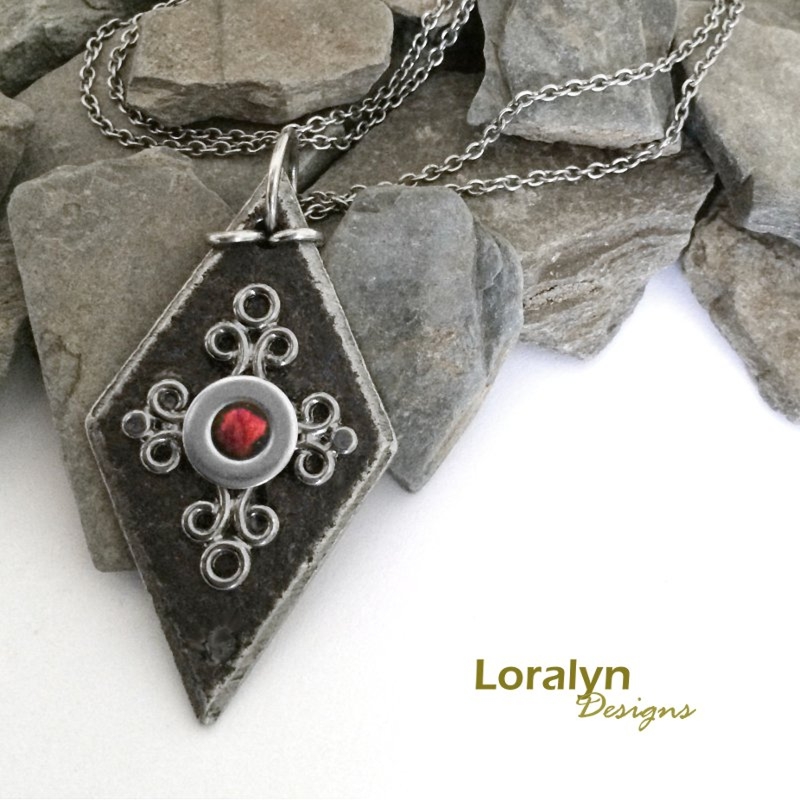 Jewelry listed as seen on TV is copyrighted by Loralyn Designs and cannot be reproduced by any other seller.